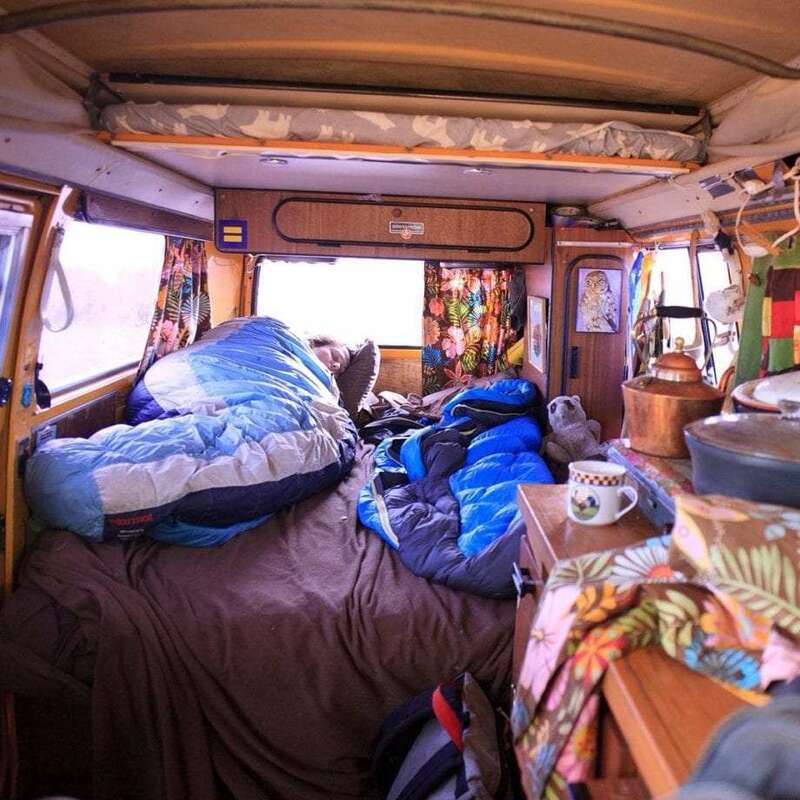 To say that when most people think of a Volkswagen Bus, that the term “hippy van” comes to mind, well that would not be a stretch. 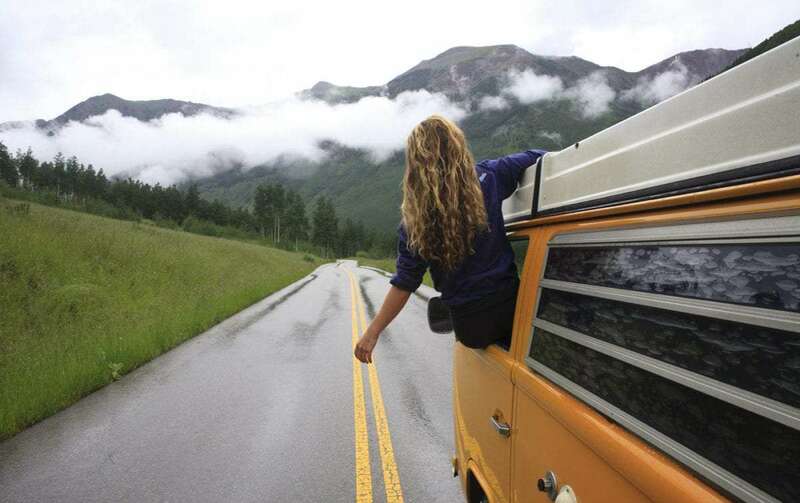 And the Volkswagen Bus, the true variety, those from 1979 and earlier, are as iconic an association with that long-haired subculture as the peace sign itself. Still, the 60s were a long time ago and save for a couple of minor musical revolutions where people with names like Johnny Rotten and Kurt Cobain shook up the minds of their generations just long enough to make high school more difficult, to find an actual hippy in the world today is not an easy task. We need time to be idle. 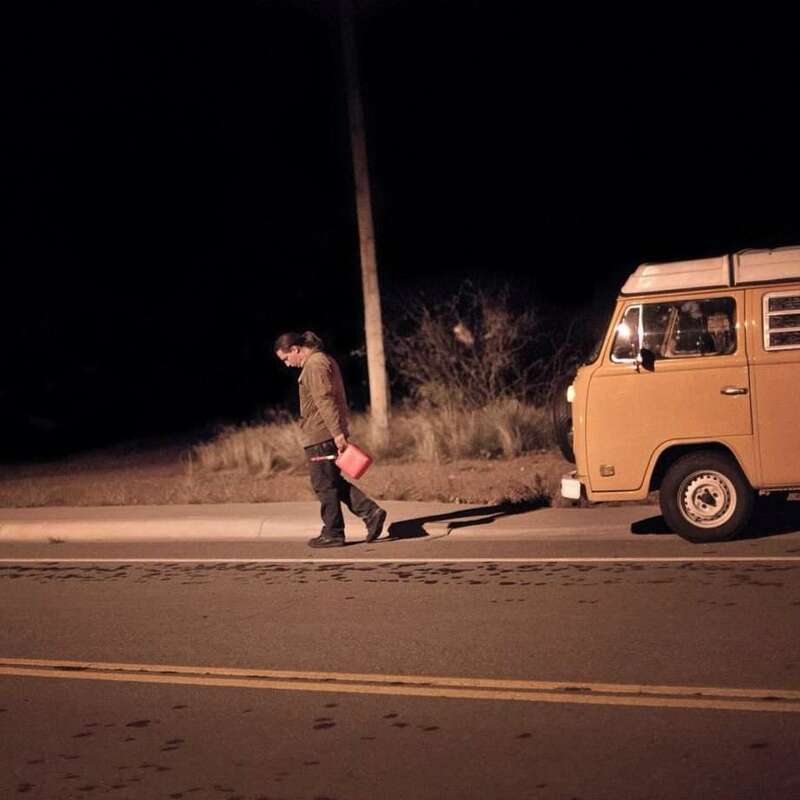 So when one not only runs across a couple who are the living embodiment of much of what that movement was about, and then to find them living in a Volkswagen Bus, well that is like a glimpse into the past. Except for James and Rachel of Idle Theory Bus, they’re neither relics from generations past nor necessarily trying to emulate something gone. They are two of the most genuine, intelligent people you may ever meet on the road, are you lucky enough to have your headlights pointed at the same campground. 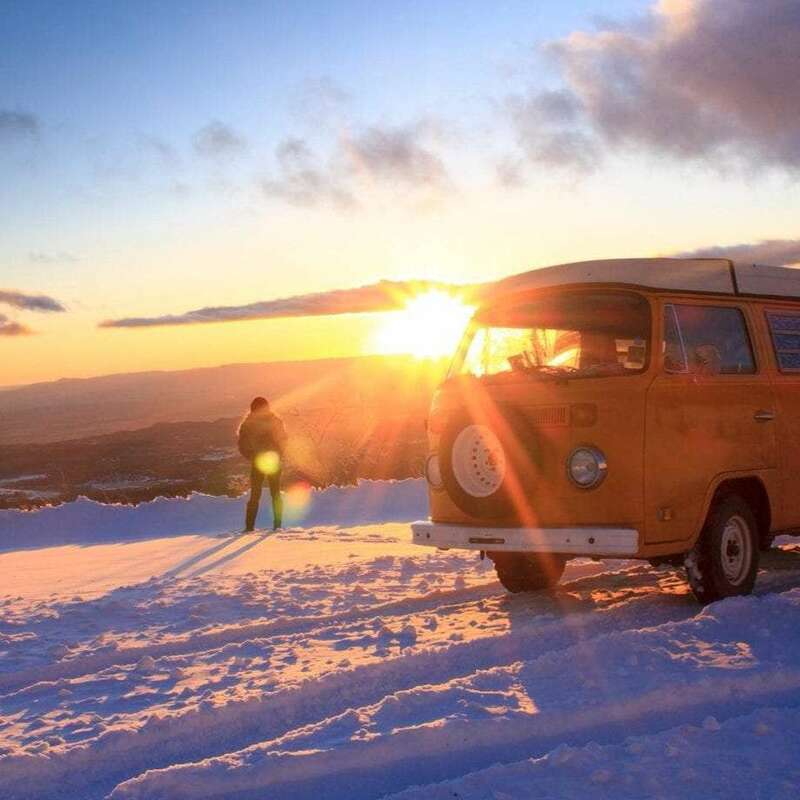 “Sunshine is a 1976 VW Bus, Westfalia model,” James, 28, begins. 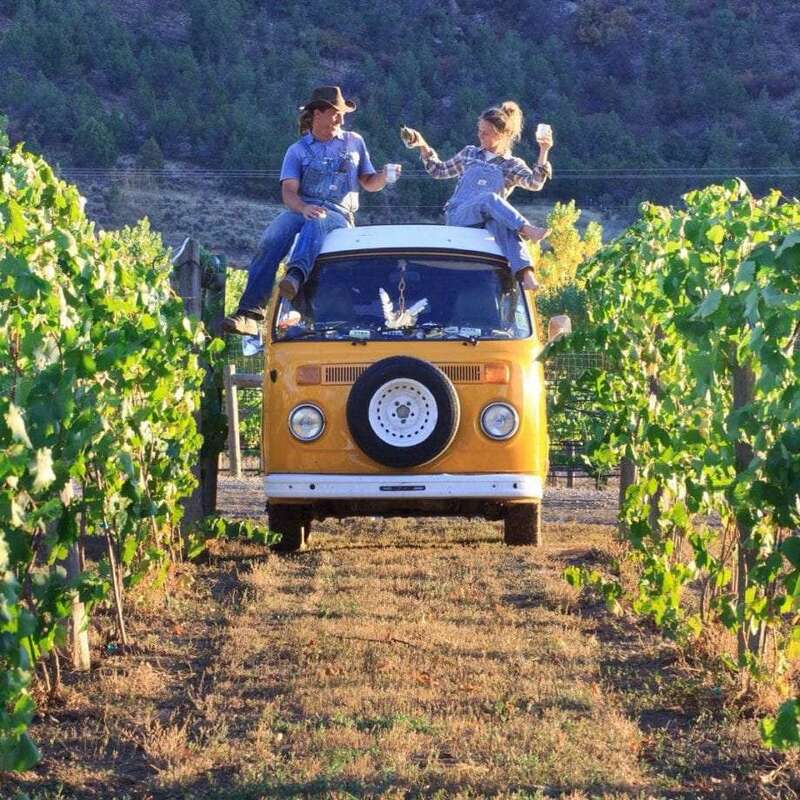 Sunshine is the name of their marigold yellow Volkswagen, their home as they travel around the nation. And the two very much do live in nature. They commune with the water by swimming naked, disappear into the forest for long periods, and have learned a key secret that is largely lost on society today: the act of being idle. For James and Rachel, being idle means setting aside a part of your life to do nothing. It’s quite a radical idea when you hear them talk about it. Society tends to view idle time as being lazy. From the earliest years of our lives, we are taught to work hard, go to school, do homework, chores, pursue our passions, always be doing something. More strict views on success even tend to shun the idea of spending too much time on leisure pursuits, suggesting we should spend most of our time crafting a career. Living to work. James and Rachel have another idea, and it again follows their love of nature. “Purposefully practicing idleness has transformed my life dramatically,” she says. Before she continues, consider most of the Animal Kingdom. A pride of lions doesn’t run around killing more than it needs to eat. The pride kills just what it needs, feasts, and then spends long times rolling around doing nothing. Maybe the cubs will play a game or two, much like children playing games of war or house, learning skills that will prove essential come adulthood. For those who don’t love the idea of comparing themselves to animals, even humans exhibit these same traits as children. When we’re young, we work on things like learning to walk and talk. We climb trees for fun, but to build motor skills as well. We play games to amuse ourselves, kicking cans or throwing balls, until we’re absolutely tired, and then we rest. Our minds can wander, our bodies regenerate. Repeat as necessary, until enough education, extracurricular pursuits and the working world inform us otherwise. 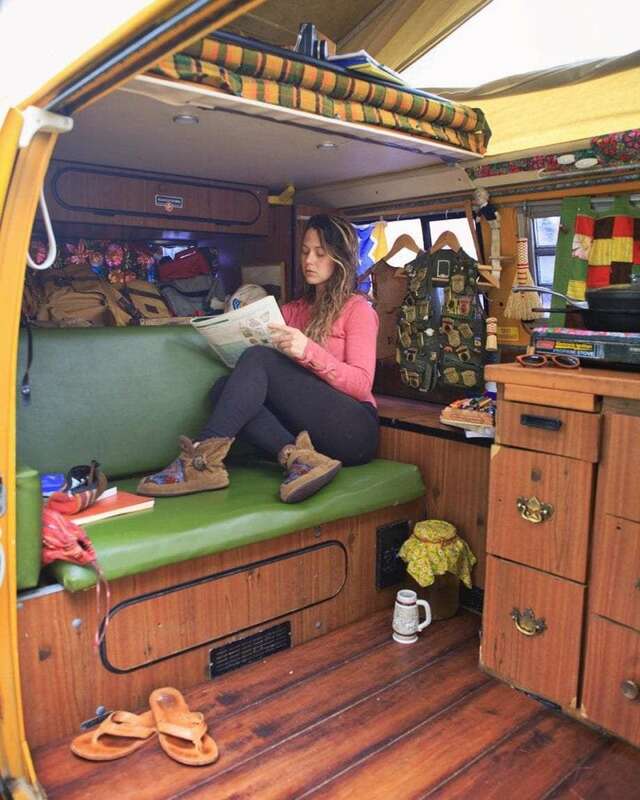 Rachel sits inside of Sunshine, their Volkswagen Bus Westfalia. Photo via Idle Theory Bus. Work is dedicated to what the couple does for survival and to keep their stomachs full, gas in the tank. Leisure time then, as she puts it “is devoted to chasing our passions, and isn’t motivated by money or necessity.” Think swimming in an estuary or hiking some wooded forest scene. But even leisure time is not what they consider being idle. “Idle time is time spent doing nothing. To me, idle time is the most spiritual of all times. It is meditation, a prayer of sorts. Sitting in a wild place for an hour, a day, a week, and simply letting yourself be is one of the most radical things you can do to change the world. 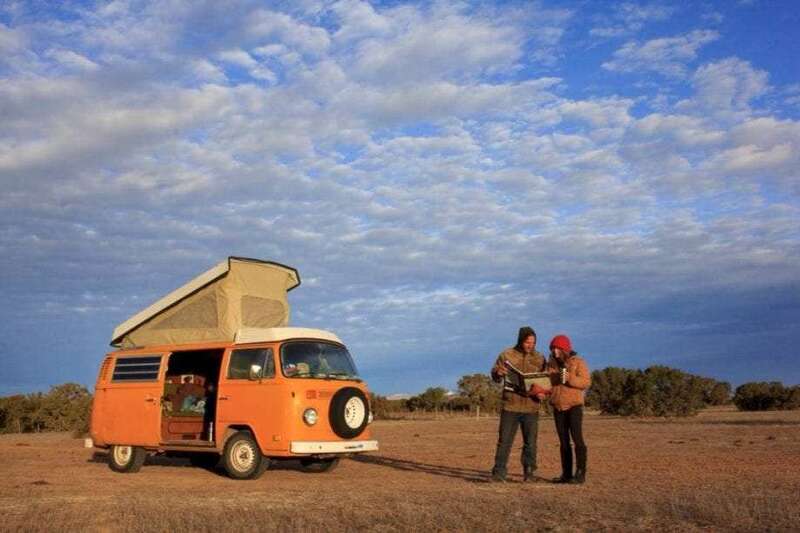 Anyone who travels around full-time, particularly in a Volkswagen Bus, has already shunned some amount of what society dubs acceptable, but Rachel and James take it even further. They are not your average “full-timers”. For many, this is a difficult concept to grasp, and may immediately trigger a flight response, sending them to judge or dismiss James and Rachel’s way of life. But they are not “slackers” and certainly not bums. 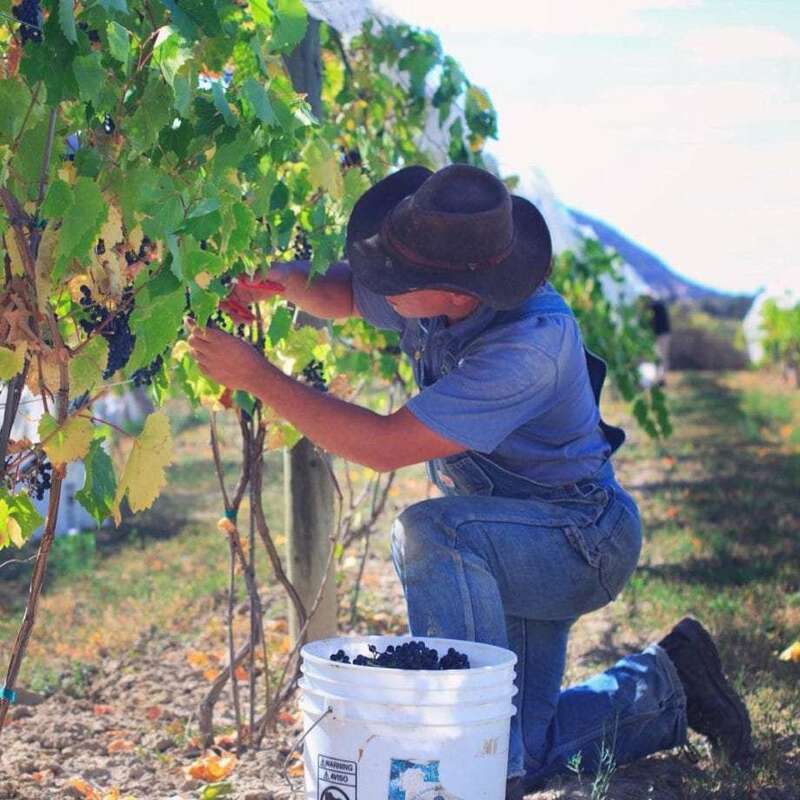 When it does come time to work, they do hard labor, often working on farms. This isn’t because they necessarily have to play the role of migrant workers, but because they choose to do so. The couple has the ability to earn their income on the road via their videography skills, but still they often lean toward working harvests or slaughtering animals. With this revelation, the concept of slacker is immediately dismissed, and some on the other end of the spectrum may question their decisions for more liberal reasons. James, Rachel and Sunshine. Photo via Idle Theory Bus. But after speaking for only an afternoon with the two of them, it became immediately clear that they are neither left nor right, this nor that. They are themselves, pursuing not a life of travel in particular, but instead seeking solace in whatever form it might present itself. They don’t seek to find which niche society will most easily define them, but instead are simply looking to define themselves. But frankly, they don’t need to define themselves. It’s only the rest of us who want to figure out what sack to stuff them in, to make it easier to put their ideas aside and move on with our own lives, unchallenged. Personally, I see them as teachers, if not prophets. They are saying yes in a way most people can’t immediately grasp. They are saying yes to living, not just to moving forward with the steps we’re all taught. Thus, the label of teacher, not student, might be appropriate. “By limiting how much we work,” Rachel proceeds, “we are able to pursue what makes our heart sing. We are able to sit on the side of a red rock cliff all day and contemplate the universe. You see, every morning should be full of crackling energy. Why work 50 hours a week? Do you need to work that much to survive? Why not be happy? Why not be more than happy, so joyful and smoking with good energy and excitement that you sometimes have to scream into the side of a deep canyon, because you can’t contain how wonderful it all really is? At the time they are saying all of this, the couple is living in their Bus somewhere in the mountains. Snow-covered mountains, mind you. Sunshine in the snow, another day coming to greet them. Photo via Idle Theory Bus. She may be being a bit modest. They spent four weeks this past winter where daytime highs were 35 Fahrenheit. Hot tea, cold weather. Photo via Idle Theory Bus. People are so good, and it’s only once you make yourself vulnerable that people are in the position to be generous. Though they speak of the realities of the cold and dark of winter, they face it like few others. Their Instagram account boasts photos of Sunshine covered in snow, another snowy day, and this is for a couple who very much do have the option to escape weather. They could simply drive south, at any moment, really. Two butterflies in their cocoons. Photo via Idle Theory Bus. And optimism is a necessary trait of any Volkswagen owner. You either need to be rich, handy or very patient if you even drive one of these old girls, let alone live in one, as they are notorious for breaking down. James, off to find help in the night. Photo via Idle Theory Bus. In the years since they’ve lived in their Bus, though, James has learned to a thing or two about changing breaks, fixing engines. 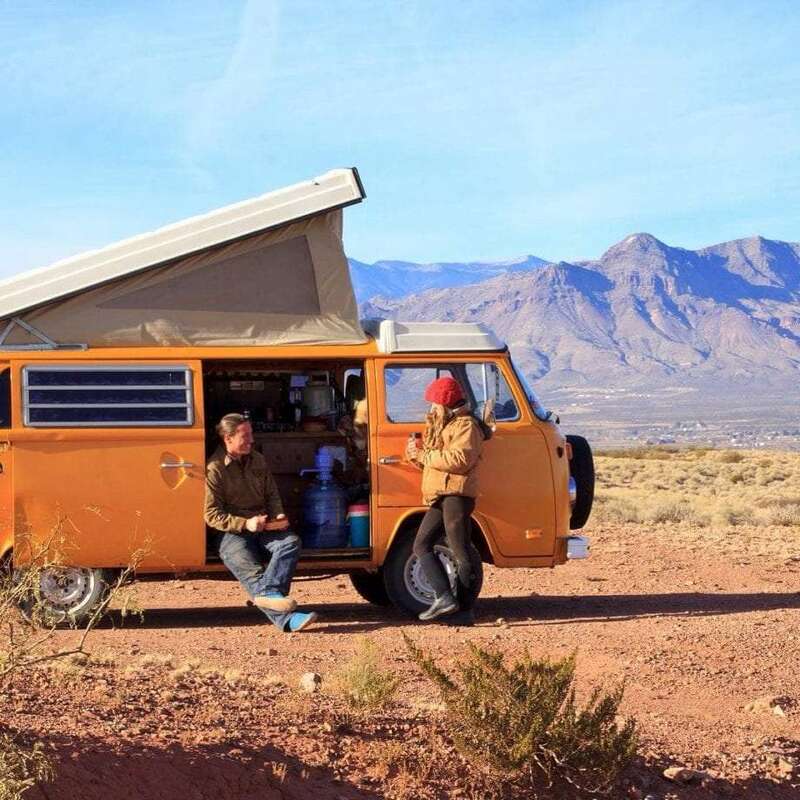 Rachel speaks fondly of his skills in a recent Instagram post, and continues the sentiment of how choosing to live in a forty year old vehicle has changed them. 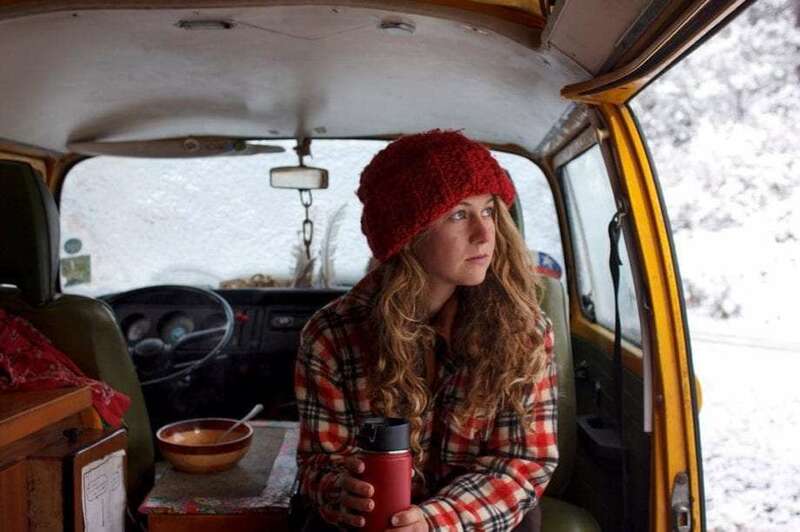 “Breakdowns are inevitable when you drive a vintage VW. You know that they will happen, and usually at the worst moment possible. We’ve been stuck on the side of the road, in the snow, out of service and slept in the middle of the road.” Far from a dream vacation. “But, you know,” Rachel smiles, she has a big smile that neither betrays her intelligence nor leaves her seeming naive, but still shows the youthful life left in her soul, “in those situations, we always have been helped by the kindest people. We’ve had people stop and tow us into town. They’ve taken us into their home. Mechanics have put us to the front of the line. Once, a welder near Joshua Tree fashioned a muffler for us out of a pipe after ours fell off into the road. As their name and ethos implies, being idle is important. But it is but one of the conditions of being they apply to their life. In this modern age, making some type of money is a necessity few can or choose to escape. So how do a young couple traveling around freely strike a balance? A lion doesn’t hunt for fun, he hunts to quell his hunger. How many desk jockeys do you know who would actually exchange their keyboard for a hoe? This particular work ethic also tends to influence the general direction they travel. James working in the field. Photo via Idle Theory Bus. Butchering chickens, claiming our own food in general, is something that the vast, vast majority of Americans seem to have dismissed. The very act of it, it seems, has become almost taboo. Most of us rarely make the connection between the animal we’re eating and the burger or chicken sandwich on our plate. We have removed that part of reality, of our own nature, sometimes in the name of vegetarianism but much more often simply because we have chosen to view our sustenance as a pleasure, and their is little pleasure in imagining an animal dying as we lather our steak in A1 sauce. While getting in touch with where one’s food is sourced has become trendy in hipster circles and yoga mom tables around the country, James and Rachel take it further than simply reading a label that leaves them feeling righteous about how their breakfast was treated before it became the bacon and eggs on their plate. “We are very passionate about food and how it is cultivated and sourced. In our quest to eat food that’s good for us and the planet, we have found that pastured, grass-based animal farming is ecologically sound and beneficial for grassland ecosystems of North America. Celebrating harvest, and life. Photo via Idle Theory Bus. Again, they have taken the time to consider things that our society doesn’t agree with. They have looked at problems in the world, not necessarily ills, but problems to be solved, and have decided their own solutions, what will work for them. And so they travel with the seasons, following the harvest, picking berries, apples, peaches. They work for a month or so, travel for two, maybe five months of work a year at most. They don’t get rich, they are not living alongside people necessarily like them. They are hobos, working out of necessity and traveling out of desire. “We’re the hobos of the 20th century,” she says, “of whom Woody Guthrie sang, rode trains and hitchhiked across the United States, performing agricultural labor just as we do today. Few travelers, even full-timers, can truly say that. That they are not simply tourists, but a true part of the community, a vital ingredient in keeping some particular place alive for some period of time. Not by exchanging money for trinkets, by inflating the beauty of some place so that restaurants and hermit crab shell stores can thrive, but instead by truly providing a service that keeps a particular town or region actually working. They are helping to build the real America, not simply further their own desires to see the world and taking as they go. It’s actually a life many of us strive for, travelers or otherwise. While Americans have long ago left the rural landscape for citylife, over the past generations we’ve tried to find the best of both worlds. Thus, the suburbs were born. And the homogenization of the United States followed suit. McDonalds and Walmart replaced mom and pop. Interstates replaced Main Streets. Cell phones replaced hellos. Rachel then continues with a fact that some will find astonishing and others, perhaps, saddening. When the term “poverty” swells up in our minds, we consider squalor, lack. We imagine sickness and hunger, people who are without. And so the concept of balancing work with being idle comes full-circle. It is only thanks to our quarter of a million dollar home loans that we need to work these fifty, sixty hour work weeks. It is only because of the possessions we have accumulated that we need to spend our weekends cleaning out a garage. It is only because of the overwhelming number of obligations we take on that we find ourselves chasing our children from soccer practice to karate to college prep every evening. Their is never enough time, unless you make it a point to have nothing but time. It’s not all meditation and chopping up chickens, though. There is that third element, leisure time. Rachel and James love to swim, and as he puts it, “Life is experienced on the edges.” James comes off as a soft-spoken, sensible man who has simply found himself a beautiful way of life, a companion to share it with, and a practicality that far outweighs any penny counter. His ideas may sound radical to many, but his personality is anything but. Reserved and polite, generous and humble, even for a man who many of us would see as having transcended the doldrums of daily existence. To plot their course, he uses a series of atlases called Benchmark Maps. When James first showed me his collection of maps I was more than impressed. This is not your Rand McNally, drive down the road to wherever the next Interstate exit can take you atlas, but a full on novel for your steering wheel. With such detailed maps, though, how does one even begin to choose a road? Contemplating routes. Photo via Idle Theory Bus. So how did this all come to be? What was the impetus that transformed Rachel the writer and James the videographer into these beings of ethereal travel? An undergrad at Appalachian State University in Boone, North Carolina, Rachel recalls seeing their bus in a K-Mart parking lot near school. “I called James and told him he had to come and test drive it.” Not living in the same town at the time, it took James a few months to make the visit, but the Bus was still there. “You’ve gotta test drive it!”, she told him. He did, and Sunshine has been a part of their lives ever since. “The wanderlust was inside us,” James continues, “and Sunshine made herself available at the precise moment we were able to buy her. One time on a family road trip to the Grand Canyon when I was 10 or 11 I told my Dad from the back seat of the car that one day I was going to live on the road. He asked me ‘where would you sleep’, to which I pointed out the window to a faint dirt track going into the trees and said ‘right there’. Before Western North Carolina, both Rachel and James were living in their home state of Florida. “We couldn’t wait to get out,” she says. Still, she admits that they love traveling around the Sunshine State. But it wasn’t Florida, it wasn’t North Carolina where they’d begin this life on the road. The decision wasn’t so easy for James. Love at first gear seems to shift into high. Life changes, and so far it sounds like for the better. They learned their real values as they left that world behind for this one. That work is not life, but a way of achieving the things you truly want in life. “We were sitting there, working 50 hours a week in the city,” she remembers. “I thought there was something deeply flawed with that lifestyle.” She spent her time outside of work reading books on the very subjects they now hold as their life ambitions, leisure, work theory pieces by authors like Paul Lafargue and Josef Pieper. “All of these old white dudes had similar thoughts that really connected with me. They predicted that the workweek would plummet to 15 hours of work per person, with mechanization and industrialization. They predicted a world in which people spent most of their time working on passion projects.” It’s not that far-fetched. Machines already do much of the chores humans needed to toil over for weeks to achieve, in only minutes. The idea was even expressed in the cartoon The Jetsons, but as our technology has increased, and our reliance on it, the quality of our lives in general hasn’t necessarily. Some might argue that what they are doing is exactly the meaning of life, to dissect it piece by piece, not as a society but as individuals, discovering exactly what we can do with these brief years of what seems to be a magical existence as short-lived specs in an infinite universe. Instead of finding themselves in the devil’s workshop, idle time has given James and Rachel the freedom to explore exactly that. Whether they find all of the answers to their questions or simply smile a little more than the rest of us, it’s hard to argue with the results. It’s been four years of living in Sunshine on and off. For $5000, they not only got a car, a home, but a new way of thinking. She’s been a cargo van when James was a videographer. She was an apartment in LA when she needed to be. They’ve taken Rachel’s little brother and sister with them into the wild. They’ve lived through conditions that humans largely haven’t had to endure, certainly in the United States, for nearly two hundred years. To say they’ve elevated their conscious would be fair, and yet with all of it, they seem more humble, approachable and real than ever. You can also follow along with James and Rachel via Instagram or their website, IdleTheoryBus.com. Now they’re beginning to give back, creating a zine to provide insight and stories from the road, perhaps to inspire others, but also perhaps just for a way to help them continue to express their own lives, their own perspective on how this world spins and where we fit into it. They have certainly been an inspiration to thousands of people already, and whether those people end up following in their footsteps precisely or merely taking bits and pieces of the Idle Theory to form their own view of how they might live their life for the better, the world is a fraction of a slice of sunshine better that these two choose to travel it.